The Snowman opening line: It was the day the snow came. Harry Hole has been trained to catch serial killers. But to date Oslo hasn’t had one. Now there is a possibility a serial killer is on the loose. Will Harry finally get his day, or will the killer get the better of him? Harry is up against it this time, not knowing who to trust. But, he has to trust his instincts or things will go horribly wrong. THE FIRST SNOW WILL COME. A young boy wakes to find his mother missing. Their house is empty but outside in the garden he sees his mother’s favourite scarf – wrapped around the neck of a snowman. AND THEN HE WILL APPEAR AGAIN. As Harry Hole and his team begin their investigation they discover that an alarming number of wives and mothers have gone missing over the years. When a second woman disappears it seems that Harry’s worst suspicions are confirmed: for the first time in his career Harry finds himself confronted with a serial killer operating on his home turf. …HE WILL HAVE TAKEN SOMEONE ELSE. 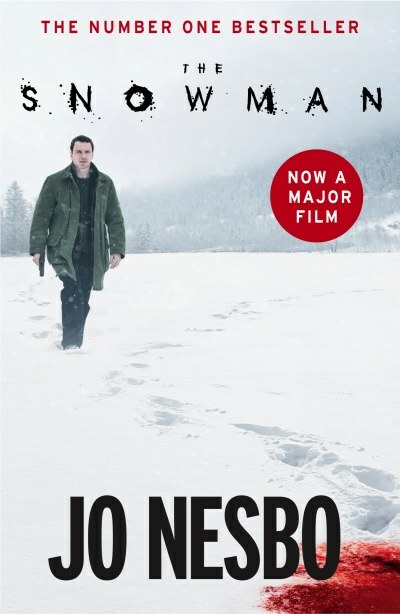 Another well written Harry Hole novel however, I managed to work out who the killer was well before the detective. Perfectly translated by Don Bartlett which makes reading Jo Nesbo’s books a pleasure. Perfect reading for a long holiday break. Another great mystery, wonderful review Tandy. A great review of this book, Tandy.